University of Lahore (UOL) Sargodha Campus admission 2019 are opened and UOL Sargodha Campus is offering fall and spring admissions 2019 including BS, BBA, BSCS, BS Software Engineering, MSc, MBA, M.Com, MCS, MSc-IT, MSCS, LL.M, M. Phil and Ph.D programs in various disciplines. All programs are based on the semester system. It should be noted that UOL Sargodha campus also offering M.phil programs on weekend classes (Saturday and Sunday only) at its Sargodha Campus. Following is given the complete guide for University of Lahore (UOL) Sargodha Campus admission 2019 last date including admission form download, admission procedure, UOL Sargodha Campus fee structure, merit list, entry test, admission criteria, scholarships and jobs in University of Lahore Sargodha campus. The University of Lahore is the private sector university which is ranked among the top universities in the world and UOL Sargodha Campus which is established a few years ago has been recognized by the Higher Education Commission (HEC) recently. UOL Sargodha Campus has started admissions 2019 for fall and spring semester for BS, BSCS, BS Software Engineering, BBA MSc, MBA, M.Com, MCS, MSc-IT, MSCS, M. Phil and Ph.D. programs in different subjects. Result awaiting students can also apply as per UOL Sargodha admission criteria for the specific program before admission last date below. Lahore university Sargodha campus is offering free education to talented students having 85% marks or CGPA 3.9 for bachelor and master study programs only. Must check University of Sargodha Admissions complete details and admission guide. Following is the detailed procedure of getting the University of Lahore Sargodha campus admission 2019 last date, UOL Sargodha campus admission advertisement 2019, fee structure, UOL Sargodha admission form download with complete admission procedure that how to apply. Getting admission in University of Lahore Sargodha Campus, interested students must submit University of Lahore admission form 2019 before the due date. Find the latest admission advertisement of UOL Sargodha campus for multiple programs. University of Lahore Sargodha campus has a different fee structure for the different program which is offering by the university. The average fee for per subject is 12000 which is subject to change as per program. Fee regarding admission in all types of programs can be checked from university prospectus which is obtained from the university admission office or city office for Rs. 500 only. You can also see UOL Sargodha Campus fee structure online from Here. In order to get admission in UOL Sargodha Campus, interested candidates are required to fill the admission form 2019 which is obtained from University of Lahore (UOL) Sargodha Campus admission office or university’s city office Al-Rehman Trade Centre Sargodha. Furthermore, you can download admission form 2019 online from Here. It is advised to candidates in their own interest that before submitting any dues to UOL Sargodha campus, download UOL admission form 2019 and contact to UOL admission office or city office at Al-Rehman Trade centre for detail about course offered and admission procedure first. Obtain admission form from university office or to download online from Here. Get challan form from University and deposit admission processing fee in the corresponding bank. Attested photocopies of your all academics degrees/result cards. The UOL Sargodha Campus has announced start of admissions 2019 in various departments including Management Sciences, Business Administration, Commerce, Computer Sciences & IT, Economics, Education, English, Urdu, Mathematics, Mass Communication, Pak Studies, Social work, Biology (Botany/ Zoology), Chemistry, Physics, History, Islamic studies, Political Science, Statistics and Physical Education. Department of Management Sciences, Department of Computer Sciences, Department of Urdu, Department of English, Department of Physical Education, Department of chemistry, Department of Physics, Department of Mathematics, Department of Commerce, Department of Islamic Studies and Department of Pak Studies offers MS and Mphil programs at weekend classes. M.Phil in the subjects of Urdu, English, Pak Studies, Islamic Studies, Economics, Physics, Maths, Chemistry, Biology, and MSCS are offered by the University of Lahore Sargodha Campus. Eligibility Criteria for MS /M.Phil Programs: The candidates must have obtained MA/MSC/BS four years degree or equivalent 16-year education with 2nd division having 2.00 CGPA or obtained 45% marks. University of Lahore Sargodha campus has started Ph.D programs in Subjects of Management Sciences, English, Urdu and Mathematics and planning is going on to open Directorate programs also with the other subjects. Eligibility criteria for Ph.D programs: MS/ M.Phil or equivalent degree with 1st division and having qualified GAT or GRE test. University of Lahore Sargodha Campus is offering merit-based scholarships to eligible students having secured 85% marks or 3.9 CGPA. These scholarships are offered only to those candidates who intend to get admission in bachelor or master programs. University also offers kinship scholarship to students. University of Lahore, Sargodha Campus is providing job opportunities to talented male and female teachers having excellent communication skills. UOL Sargodha Campus jobs 2019 and this institute has appointed Lectures and assistant professors having M.Phil and PhD qualification in relevant subjects. 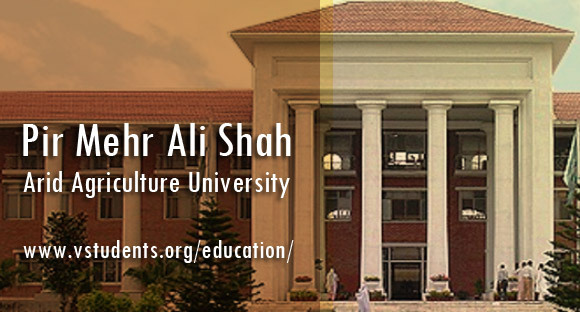 Address: University of Lahore, Sargodha Campus, 10 Km Lahore road Sargodha. Best of luck for your future and we hope this information is really helping for those who are looking for University of Lahore Sargodha campus admission 2019 for fall or spring session.